"Albums like Propellor Time are a real blow fresh air. In a way, serves to return faith in the songs and music that sounds simple, but has complicated things inside. 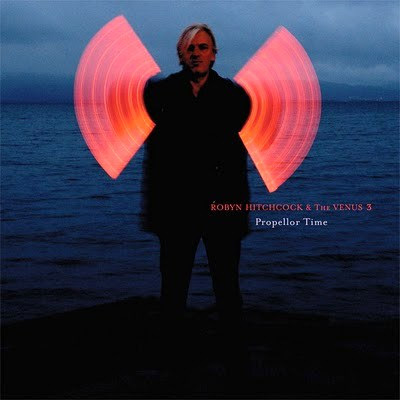 Robyn Hitchcock published in 2010 one of his best work and, incidentally, one of the jewels record of the year. stellar guests ( Johnny Marr, John Paul Jones , Chris Ballew, Nick Lowe ...) are only a supplement to their faithful Venus 3. These, in turn, are a kind of division of REM or even a split of a split, as both as Peter Buck Scott McCaughey ( Young Fresh Fellows) and Bill Rieflin (ex-Ministry ) also agree The Minus 5 , another side project to the legendary band. That familiarity is transmitted completely the listener, which has the feeling of being in a recorded disc, especially between friends . That's why it sounds so natural and relaxed. And besides, does not contain a single topic not worth it. "